Weeze Airport is located approx. 70 km north of Düsseldorf. Weeze Airport is mainly a destination airport for “Ryanair” and “Transavia”, where it goes by the name of "Düsseldorf (Weeze)"
Please use the navigation bar to the left to learn, how to find your way at Weeze Airport and how to reach the behr headquarters in Düsseldorf. 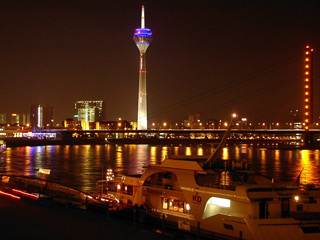 The most convenient way to reach Düsseldorf from Weeze Airport ist the bus to Düsseldorf Central Station. From there take the S6 regional train (direction “Köln” or “Langenfeld”). Leave the S6 train at the "Düsseldorf-Reisholz" station. From there, please, take the S6 regional train (direction “Köln” or “Langenfeld”) to Düsseldorf Reisholz. Leave the train at "Düsseldorf-Reisholz" station. Please click on the "Map" link on the left to learn more about directions to the behr premises.